Join Mordant & McFall as we get to know Brent Walker, photographer and story teller extraordinaire. 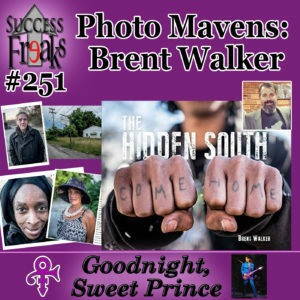 Learn how Brent is putting a twist on traditional photojournalism while he shares the stories through his book, The Hidden South – Come Home, of the “street people” around Southeast United States. You will get some advice on how to pursue your dreams and we end the podcast with a tribute to Prince.